As a regular park visitor, JP Boilard learned the benefits of deep gratitude for natural wonders and basic curiosity. As a Boy Scout, Jim Walker felt the tug of nature upon his burgeoning soul. Neither of them understood how necessity and altruism would eventually drive them back to the wilderness, this time through the lens of design. DURING HIS high school years in Massachusetts, Boilard played bass until he needed a drummer. So he played drums until he needed a place to perform. So he created a place to perform—The Shed, which literally was just a shed in his backyard—until he noticed that his band posters weren’t terribly good. So he made screen printed posters as a hobby, which quickly took over his nights and weekends, until he saw that others were creating better posters. Each step led to the next, usually out of necessity. Boilard vividly remembers stopping at national parks while on the road over the years because it tapped into his “What’s out there?” curiosity. “Maybe,” he somewhat quietly admits when we talked, “it was a bit of longing as well. Until recently, Boilard worked for IBM in Austin, Texas as a software designer for mobile apps, eventually becoming a design manager for an associate team. 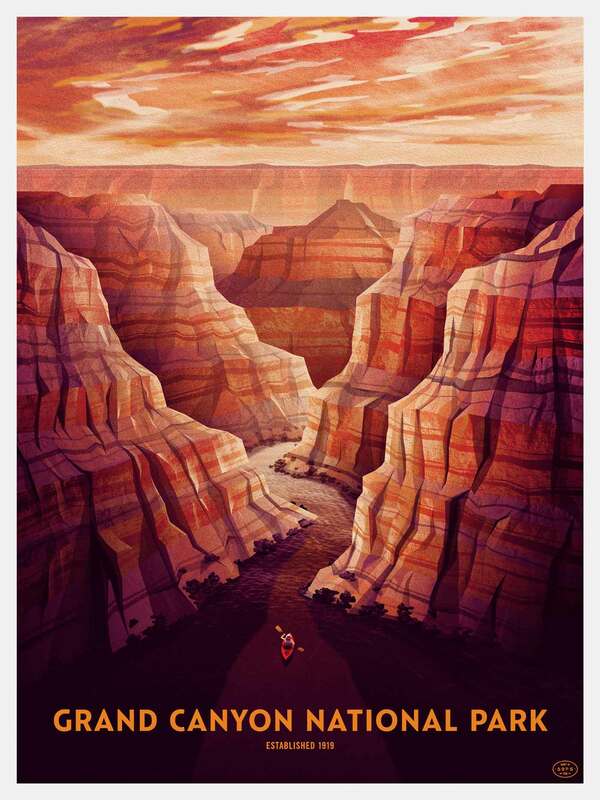 In February 2016, he left after only a year to create a new traveling poster show, alongside his friend, Brian Buccaroni: Fifty-Nine Parks which celebrates the centennial of the National Park Service (NPS). 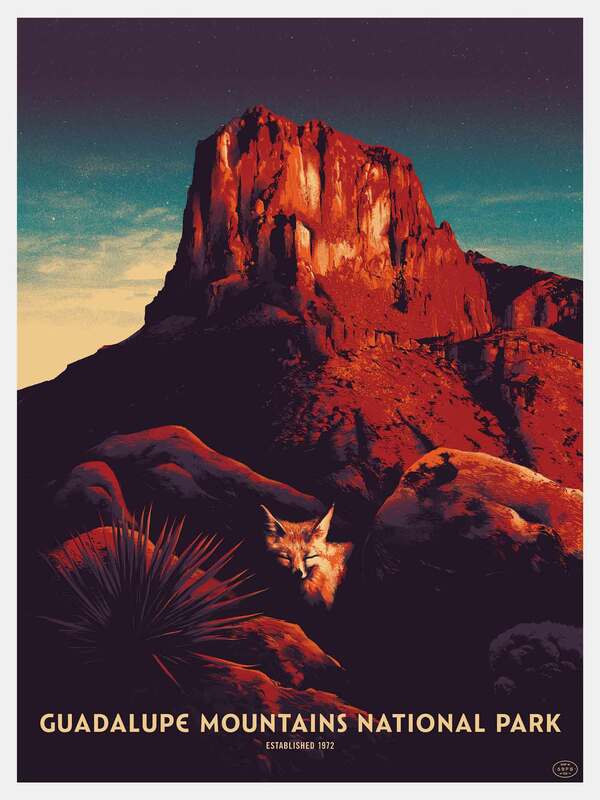 Big Bend National Park print in the 59 Parks series. 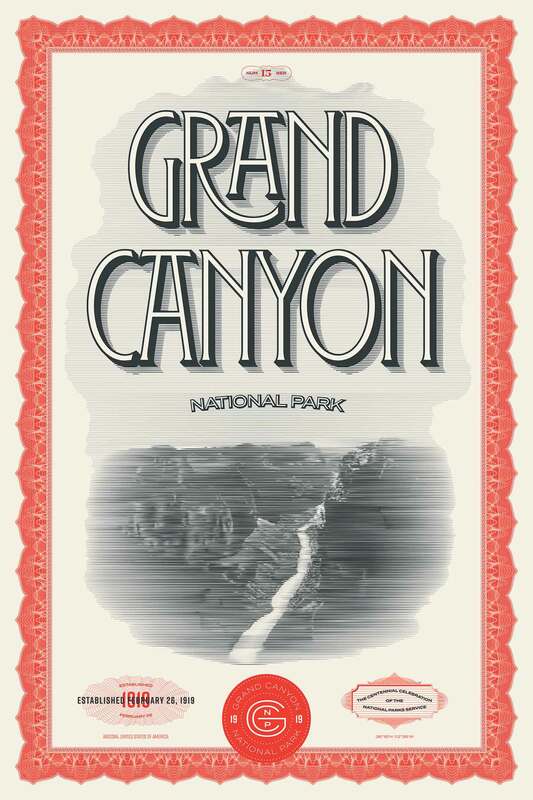 Boilard channeled the WPA parks posters, designed to show the beauty of the parks. 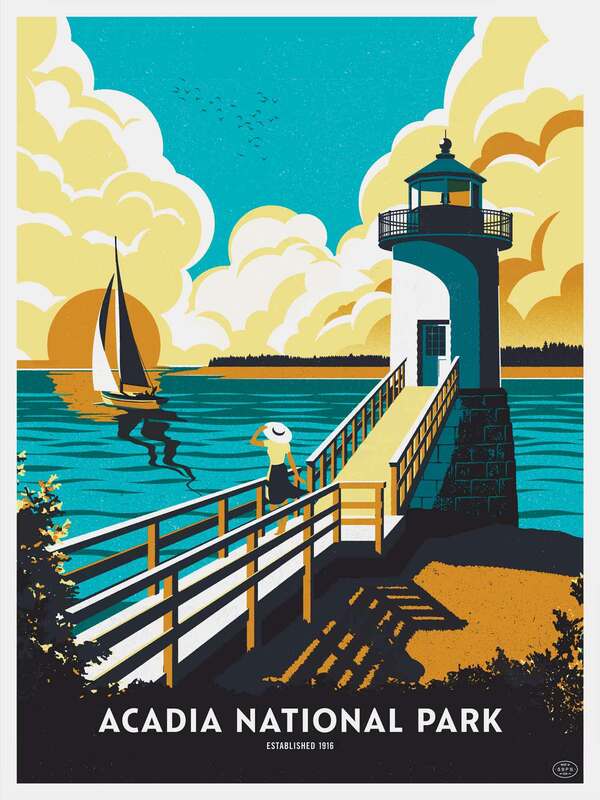 OVER THE COURSE of the next year and of his own accord, Boilard is teaming up with 59 artists to create one poster for each of the US parks. He pays the artist and acts as art director in order to maintain a cohesive feel throughout the series. One big feature is the custom typeface Catlin Sans, designed by Riley Cran of the Lost Type Co-Op, and based on the lettering on the WPA park posters that inspired the project. Though a MassArt grad, Boilard admits, “If it were up to me, I would’ve thrown Trade Gothic on the posters and called it done. But that wasn’t good enough. I didn’t want a throwback of any kind, but something with its own life.” He asked Cran, a bit more than an acquaintance by that point, to create a new typeface for the posters, which he accepted immediately. It took a few months, but Boilard is exuberantly pleased with how unique and service-minded Catlin Sans turned out, and how well it represents “modern nostalgia” for the parks. 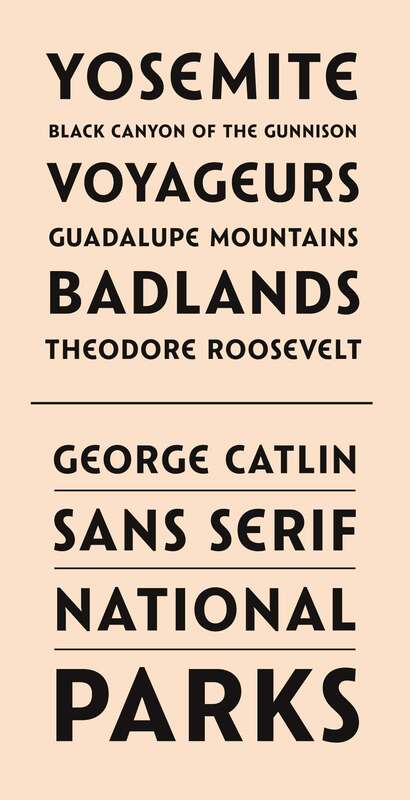 For Boilard's series, Riley Cran designed a new typeface, Catlin, as an effort to evoke the rich history of National Parks posters of the ‘30s and ‘40s. JIM WALKER and David Rygiol run the poster website Type Hike, also inspired by the National Park Service centennial. Walker is a designer and illustrator who graduated from UT Austin and Rygiol is a typographer and illustrator with a focus on branding and lettering, now based in St. Louis. 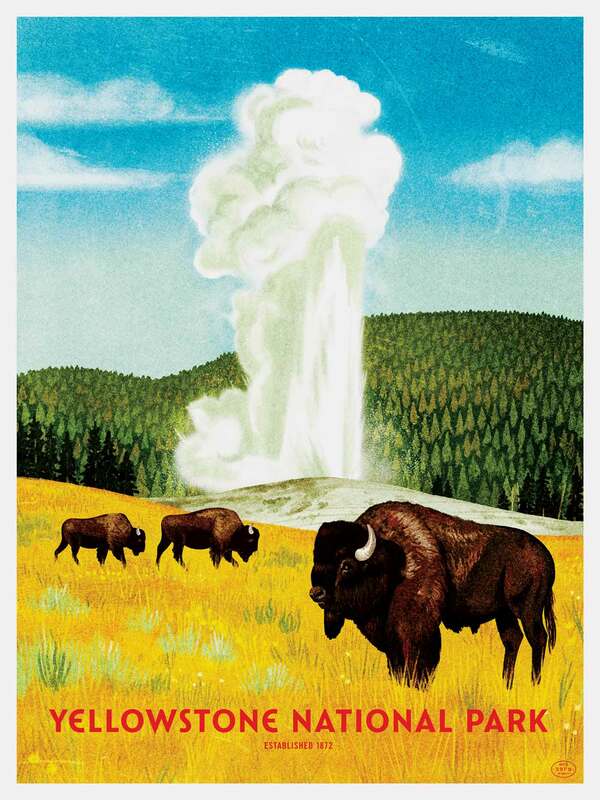 Their homage to national parks posters approaches the series from the angle of energy rather than information. 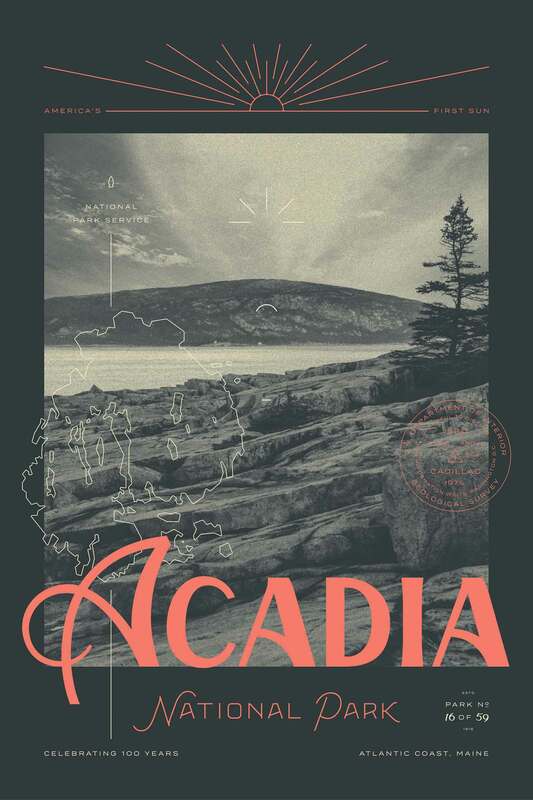 “We wanted to challenge the status quo—the assumed aesthetic—of park posters. Everyone has a different style, so we wanted them to experiment within their own style.” Type Hike’s way of lightly directing each designer allowed a breadth of poster styles—from minimal to boisterous and illustrative to symbolic, the gallery stretches the understanding of what a series can contain. 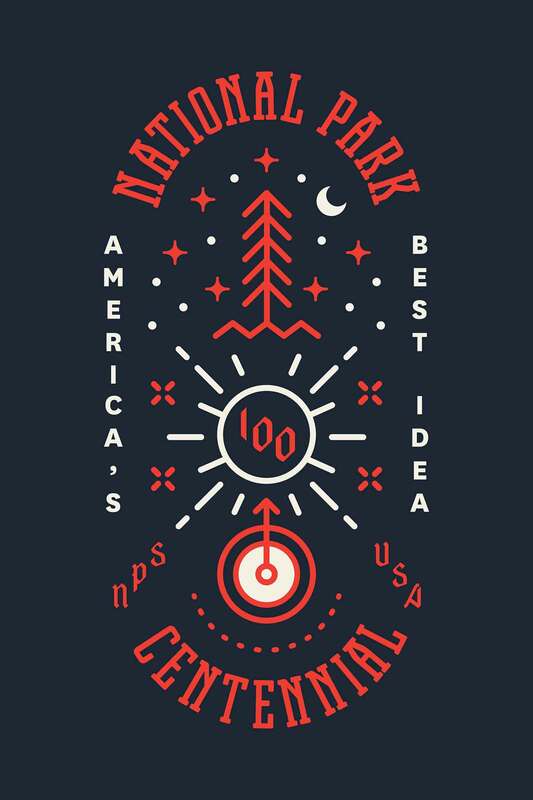 NPS Centennial poster by James Walker for the Type Hike series. BOTH SERIES are experiencing success. 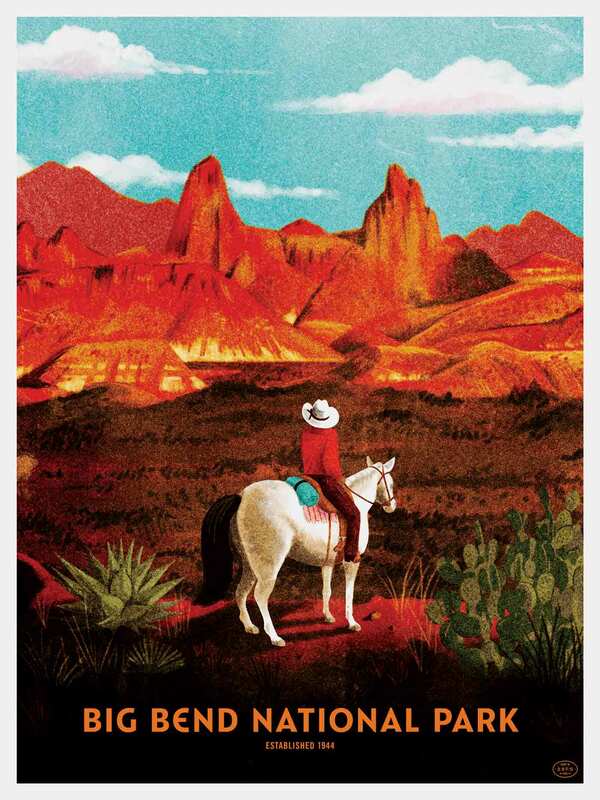 The Type Hike poster project ended in August, with profits to the National Park Service. The series displayed in the Polar stores at Laguna Beach and Portland, and other venues around the country. The 59Parks poster project plans to keep printing as long as demand remains, providing residual income to the artists. In the meantime, both projects hope to unite heritage with progress, nostalgia with celebration, and what is perceived with the eye with what is participated in with the hands. Both Boilard and Walker see it as a way to make poster lovers curious enough to become visitors and visitors inspired enough to collect the posters. Type Hike posters by Matt Plays (left) and Matthew Smith (right).